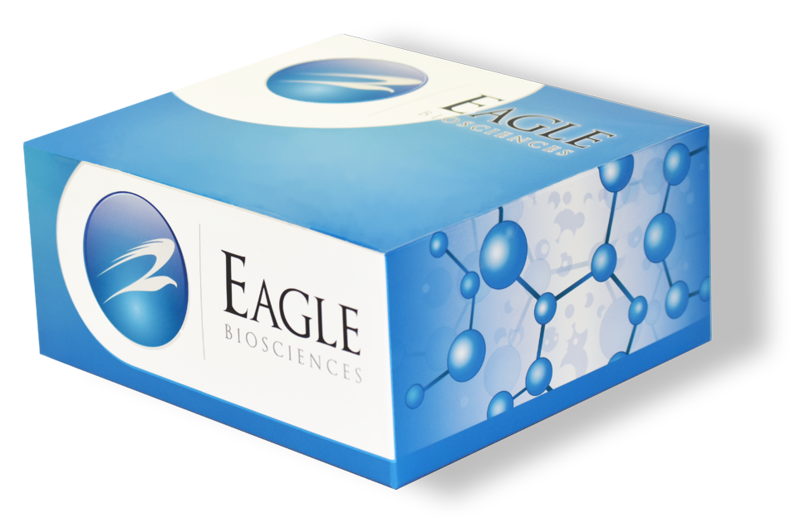 The Eagle Biosciences Anti-Human Cytochrome P450 2E1 is for research use only and is not intended for diagnostic purposes. Immunogen: Recombinant Human P450 2E1 expressed in E. coli. Specificity: Western Blots: Recognizes P450 2E1 in human liver microsomes. Reacts with 0.2 µg of recombinant human cytochromes P450 1A2. Does not cross-react with recombinant human cytochromes P450 2E1, 3A4, or 2C10. Only slightly cross-reacts with recombinant human P450 1A1 after prolonged incubation. Storage: Store at -80C. Avoid repeating freeze/thaw cycles, as it may result in loss of activity. Working Dilution: Suggested working dilution for Western blots is 1:1000. Gilliam E.M., and Guengerich, F.P. (1994), Arch. Biochm. Biophys. 312, 59-66.